Having recorded a startling 10 murders in 2017 — the highest in nearly a decade, the British Virgin Islands is experiencing a major drop in murders so far this year. The territory is seeing a 50 percent decrease in murders compared to the corresponding period last year. By this time last year — six months into the year — the territory had already recorded six murders, going on seven. Michael Stevens, Clevaughn Sweeney, and Trumayne Daway were all killed in two separate shooting incidents this year. According to statistics from the Royal Virgin Islands Police Force (RVIPF), this decline in murders is part of a wider 12 percent reduction in overall crime in the territory. When BVI News contacted Police Commissioner Michael Matthews, he declined to speculate on the reason for the drop in murders out of respect for the slane victims — some of whose murders are still unsolved. He also declined to speculate or divulge any information in recognition of ongoing police investigations and operations. David ‘Mooney’ Springette, Alston Penn, Franklyn Fahie, Jefferson Joseph, Ashburn Dawson, Shaun Richards, Sherika Nelson, Julio Pineda Ceasar, Franklyn Penn, and 11-year-old Trinity Moses were the 10 victims murdered in 2017. Since the year 2008 when nine people were murdered locally, the murder rate had not passed four in any given year. 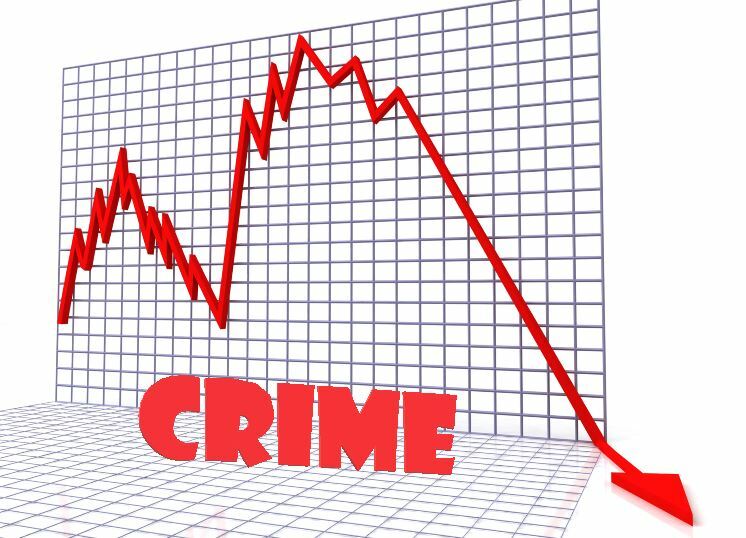 If the population has declined by about 3,000 people (approximately 8.5%) since Irmaria, then you would anticipate that crime numbers would fall by a corresponding amount, so if we ignore that, then we get a real crime drop of 3.5%. Such a small drop is not really a drop at all, and is better described as a statistical blip. Let’s get the Police out of their vehicles and walking the streets of our communities, building relationships and trust with those they serve. Let’s get some proper and sensible enforcement of minor crimes: traffic and parking, littering etc because it has got out of control. No we don’t need Sup—- blocking traffic on a Friday afternoon but we do need all the cops to work as hard as he does. @Lies….You area damn fool who wanna come on here and play bright, but talking sh-t. So you are trying to tell me that the 3000 people or 8.5% of people who left the BVI were all criminals? Stop talk sh-t. the police I must say are doing a great job. Who taught you Maths? Your numbers only make sense if you think the ratio of law abiding citizens to criminals was approximately 9:1 before the population drop. I don’t have the data on criminals but that’s a high number of people to be criminals so I doubt it. 12% is probably more accurate than your napkin Maths. That feels like a very misleading statistic. Last year’s spike was not normal. The bigger question is how does our murder rate for the first 6 months of this year compare to our 10-year average. I bet it is still well above average. Why you always have to dig to project the negative without any kind of stats/evidence. I do believe that statistics were analized here to get percentages. Why don’t you go dig for the proof first, then blog. Too much unfounded negativity. I am glad that the crime rate has dropped but I still have hope that the police with the help of the community can solve some if not all these murders and bring justice to the victims and their families. I strongly believe when they gunned down that innocent child they marked themselves for God’s wrath and even if they can run and hide from the police, they can never run from the most high. Since that trio that committed that murder in Brandywine Bay, it’s good to see the normalcy. I’m wondering if they are the c——— that had been t——– the place earlier this year……..
Kind of expected if majority of the criminals left the country to go abroad after the storm..
Was just thinking yesterday that it had been a nice few months and had not read about a murder every month. But was worried that we might be due one. Earlier in the year I mentioned to my wife that if she had a scooter pull up next to her at night she should put her foot firmly down whatever it takes and if necessary run the scooter off the road. Things seem better now but is it just a pause? Have all the gangs been caught and rounded up? My suspicion is no. What the police want and what would be the greatest deterrent to crime , is a comprehensive Islands wide CCTV system. This would cost about $3 million on Tortola ( where most of the crime is). It is a price well worth paying to save lives and ensure security.